It took several decades, but little Ralph Macchio finally grew up! 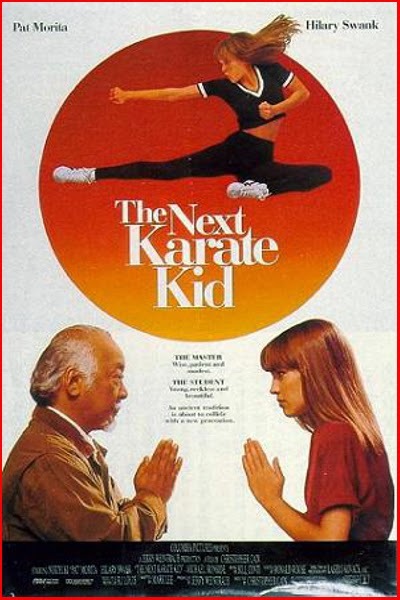 Too physically mature to continue playing a child in The Karate Kid films, the franchise had to revamp itself with Hilary Swank (as character Julie Pierce) in the titular role. After the death of her parents, Julie moves into her grandmother's home, only to be abandoned shortly thereafter. Mr. Miyagi takes it upon himself to raise the orphan child- much like he raised Daniel LaRusso. 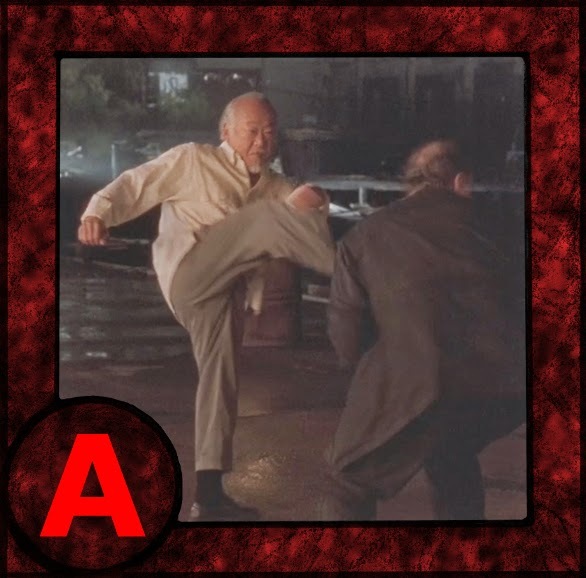 Also, because Julie's school is full of dangerous rapists, Miyagi reluctantly agrees to teach her some karate-based self-defense techniques.